Brush the underside as well. Then grill until they are cooked through. Remove chicken from grill. Cover on a plate to keep warm. Add your noodles to the salted, boiling water. Once noodles are nearly done, begin making the sauce by melting the butter in a skillet. Add garlic and sauté for 2-3 minutes. Then add the bacon bits and cook for another minute. Next, stir in any remaining lemon juice and all the zest. Then add the cream. Drain the noodles, then add them to the sauce. Thin sauce with pasta water if needed. Stir in the roma tomatoes, parmesan cheese, and capers. 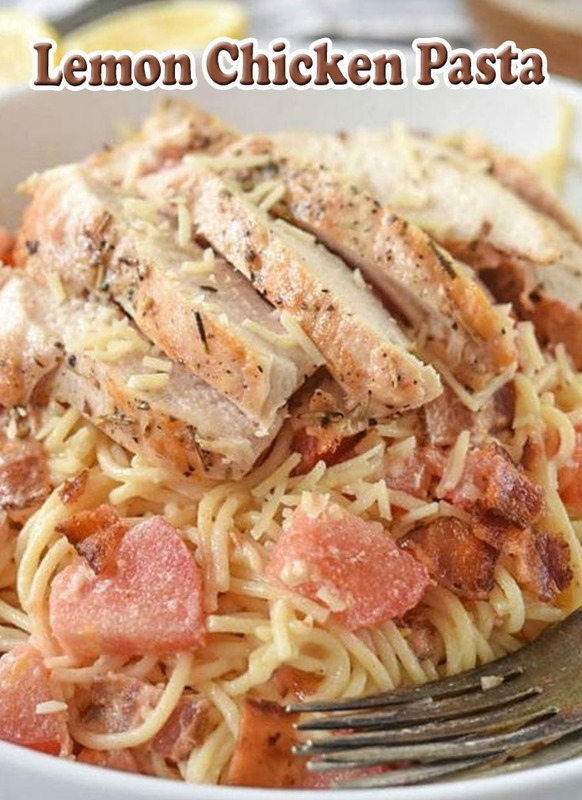 Then Top with thinly sliced chicken breast and serve immediately.